2019 APPLICATIONS ARE NOW OPEN FOR HACKER FELLOWS' 1-YEAR FELLOWSHIP AND SUMMER INTERNSHIP. 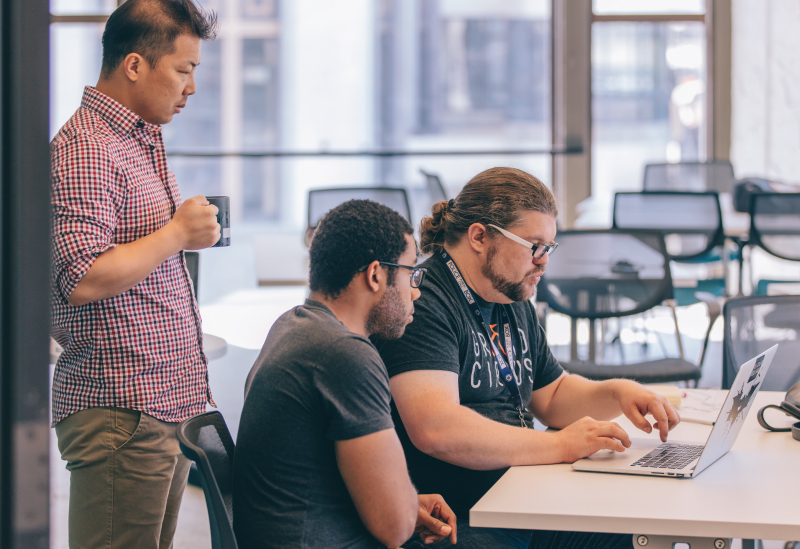 Hacker Fellows is a 1-year fellowship program for hackers, coders and startup junkies to boost their salary and land jobs with early stage tech companies in Michigan while gaining lifelong connections. The Hacker Fellows experience kicks off in Downtown Detroit with a 5-week software and entrepreneurship bootcamp. While in Detroit, the program pays for your housing, training, and gives you a bit of spending cash to enjoy the city amongst your techy peers. 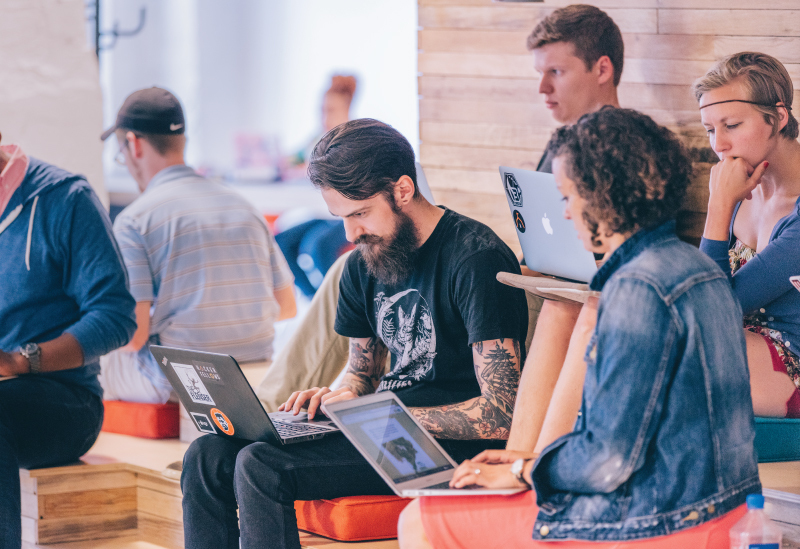 After training, you are off to work full-time as a startup developer where we boost your first year salary by $15,000 & immerse you in Michigan's technology and entrepreneurship scene! 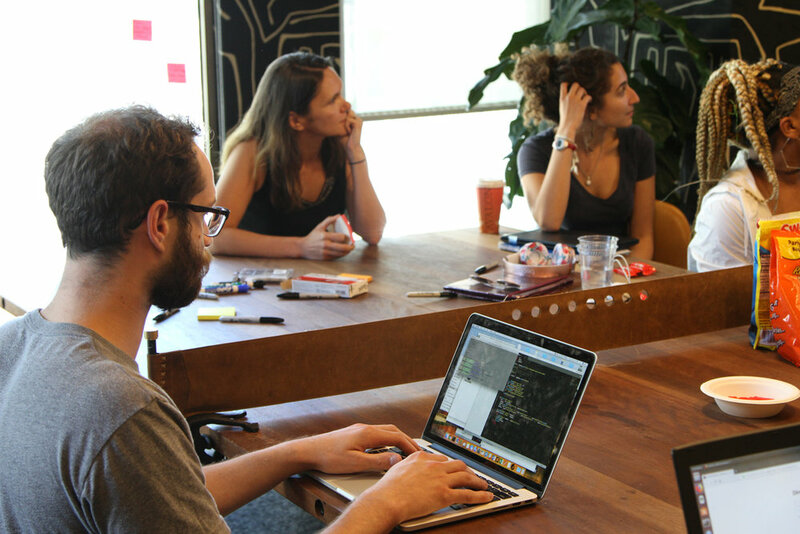 Learn how Hacker Fellows works. We also have a summer-long internship program for aspiring software developers looking for startup experience. Learn how our internship program works. Hacker Fellows is a program managed by Invest Detroit Ventures. Our goal is to attract and retain top developers in the state of Michigan and pair them with early stage tech companies. We are here to connect Michigan startups and talented developers. Learn More About Invest Detroit Ventures and their venture funds. Hacker Fellows have landed jobs with over 30 different Michigan startups. Our 80 Fellows and Interns have engaged and interviewed with 70+ different startups. 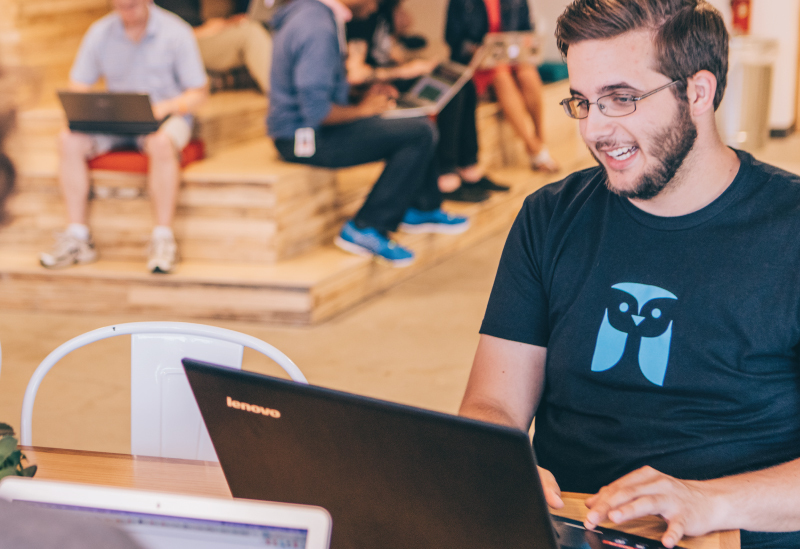 Since working with Hacker Fellows, hiring startups have created 500+ jobs. Hacker Fellows has partnered with leading entrepreneurial support organizations that not only help startups gain capital but also yield a social impact. Our partners have promoted and invested in the learning, mentoring and support of our fellows. 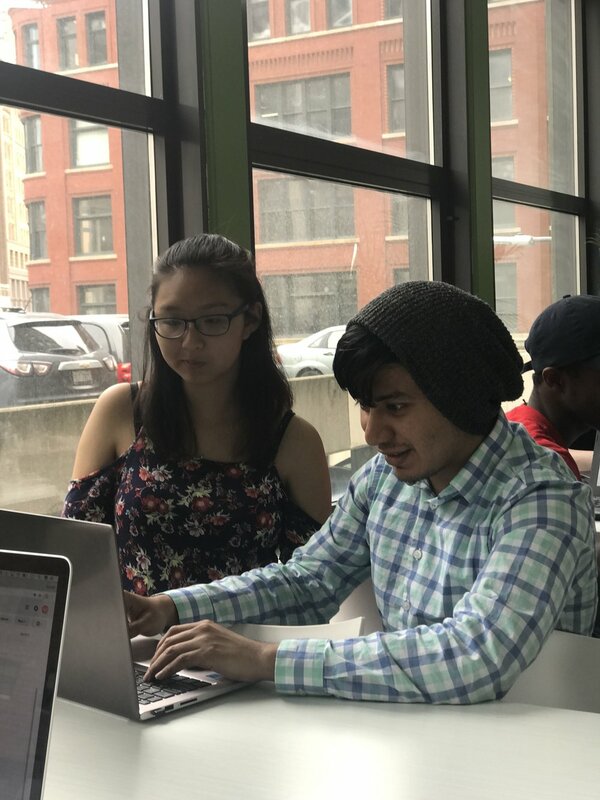 "Hacker Fellows helped me build confidence in my abilities and passions as a software developer, as well as gave me the tools and network to continue growing those skills." 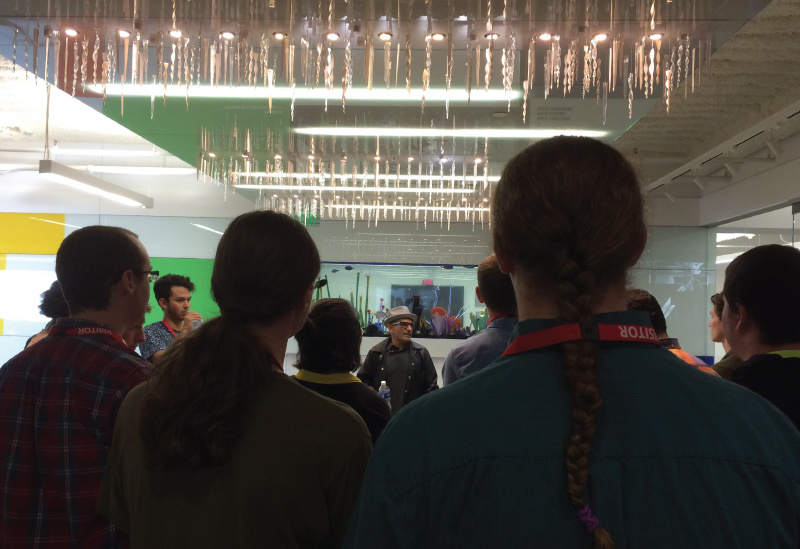 "Hacker Fellows really opened my eyes to the blossoming startup community in Detroit. 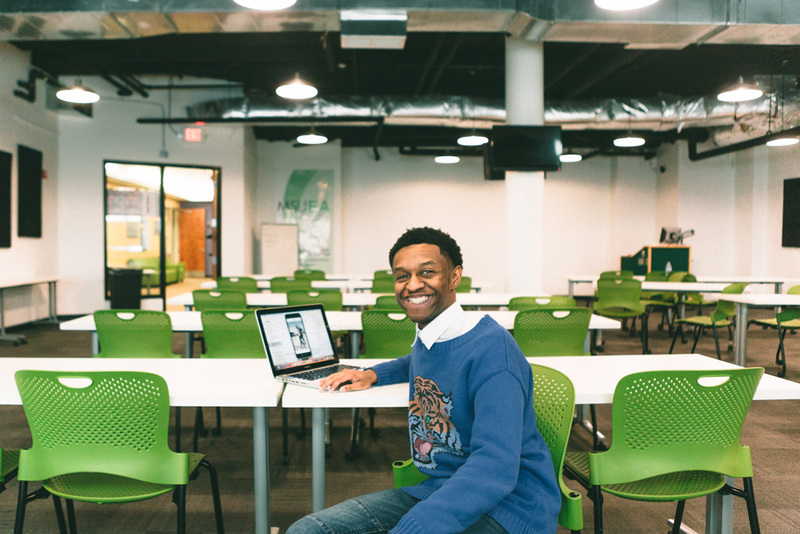 It connected me to people inside the program and Michigan’s startup community." "Hacker Fellows has built a fun and energetic community of developers who are there to support and help each other. I’m glad to know if I am stuck on any development I can message another fellow or intern to help."